However, for most people, their ability to invest in real estate is only as good as their access to capital. They think that once they run out of money, they’ve run out of options. But nothing is further from the truth. Here are 3 secrets that the pros use when they want to compete without cash in Hagerstown. Using just these three strategies, many investors have discovered how to compete without cash in Hagerstown. It’s easier and more common than you think! 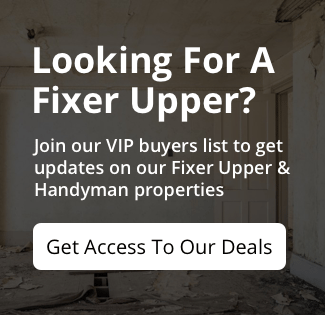 If you are looking for an investment property to acquire, and if you need some ideas and suggestions about how to compete without cash in Hagerstown then click here and enter your information or pick up the phone and call us at (301) 302-7002. Well, there’s a lot of options. First one would be seller financing. If you’re talking to a individual that’s trying to sell their house, why not ask them to hold the paper or the mortgage that’s on the property, or if there is no mortgage, write up a mortgage and just pay the person payments. You don’t have to have the cash. Just ask them if they’d be willing to have a monthly income. Some people don’t want all the cash because they don’t want to pay any taxes on the money or they’d rather stretch out the period of time that they get the money back to them. What you can do is get them to hold a mortgage on the property. You pay them over a period of time. Upside to that is you can dictate what you want to pay for the property per month and also the terms. You can make it as long as you want, as short as you want. You could put it at any interest rate that you would want. Just make sure that it’s a win/win for both sides, and if it fits their needs at the time, I’m pretty sure you will not have a problem getting seller financing on that deal, so you can use that strategy instead of having cash. Do not use the excuse of I don’t have no cash or I can’t buy a property, because that’s just not a legitimate excuse. There’s just too many ways of how to acquire property without having the actual cash. Then you could trade something or barter. You never know. That person may want a certain kind of car and you might have that car in your garage, or you might even go out and buy that car if it really makes sense to give them that car for that piece of real estate. Or you may have say a piece of land that you’re not doing anything on, and then this person’s a hunter. I know in our area, some people hunt, and so you may come across a guy that just wants some land to hunt on, and then you can trade this piece of land for maybe a apartment building that’s not performing because he doesn’t like any of the tenants and he’d rather be in his tree stand shooting a deer. So you could do that. You could just trade stuff or barter. Another thing you could do to compete without cash is partner up with somebody. You can either partner up with somebody that has the cash, but just doesn’t have the knowledge of what to do with that or how to deploy that cash in real estate to make it pay them. You can partner with somebody that has cash. You can also partner with somebody that has credit. A strategy you could use is use private money or a hard money lender. Partner up with somebody that has good credit if maybe you don’t have good credit. Then use that private money to purchase the property, rehab it, and then you partner up with the person that has good credit to then take the property to the bank, get it refinanced out to pay off your private money lender, and then you own the property with another mortgage from the bank. Your private money guy’s been paid off. And now you have a property, even though you don’t have good credit, but you were able to line up the private money to acquire, fix up the property. You found a partner with good credit. He went to the bank. He gets the mortgage, and now you have a buy and hold property. There’s a lot of options out there of how to buy a property even if you don’t have any cash. 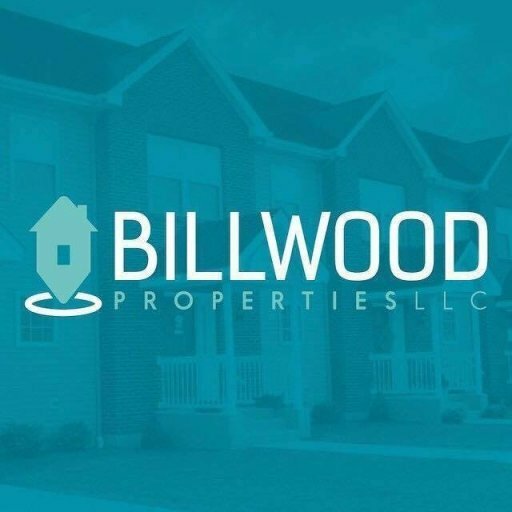 If you would like to learn more, you could reach out to me at billwoodproperties.com.